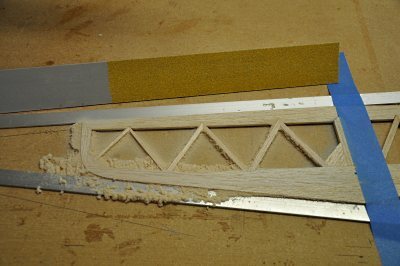 As with the vertical fin, I started by cutting to size the long pieces. 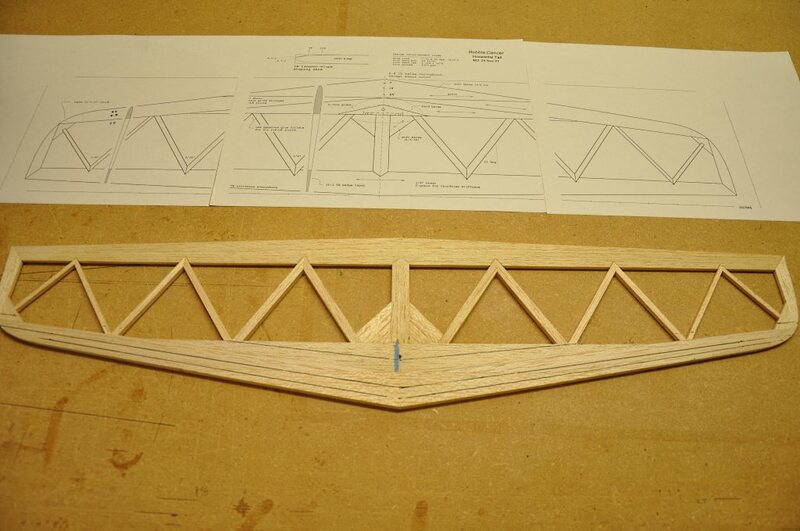 Note the grain direction on the plans for each of the leading edge strips. 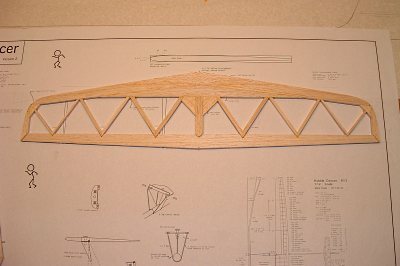 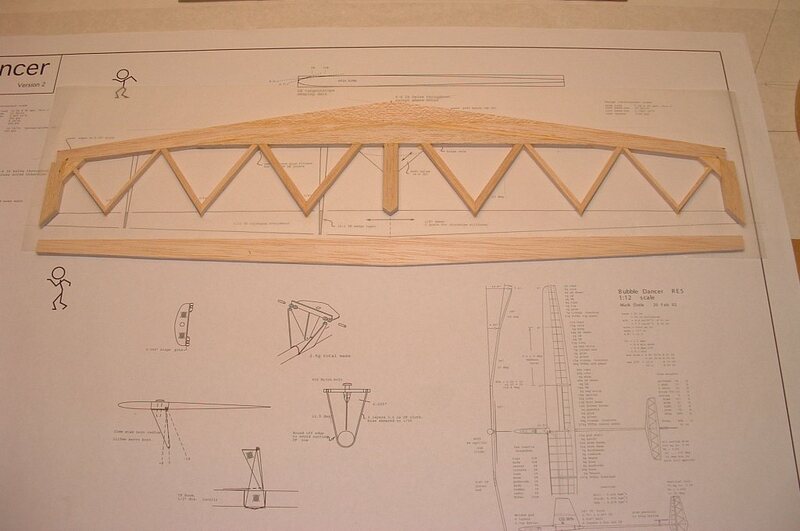 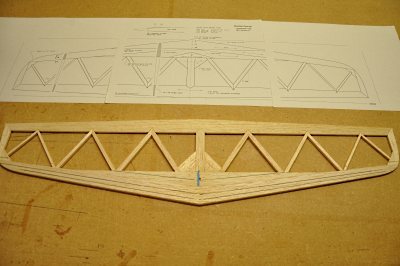 Once assembled, the grain directions make for a very strong roof-truss like assembly. 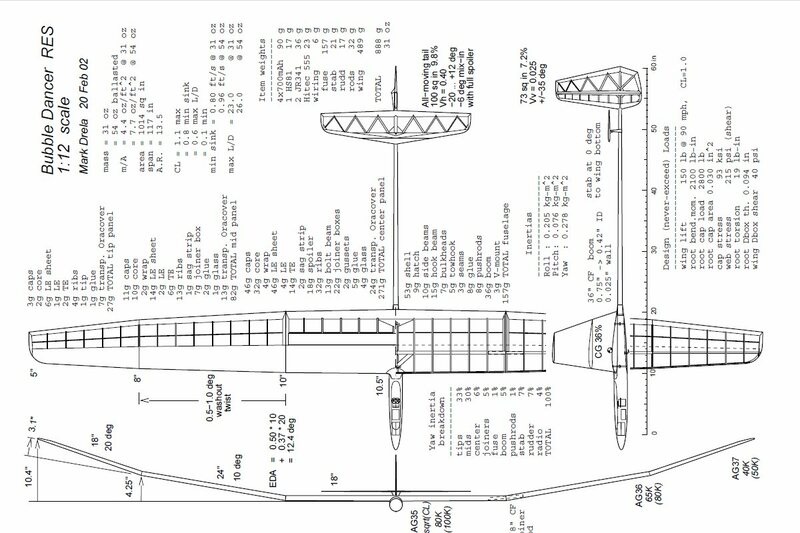 Also note that the stab is made of 1/4 inch stock instead of 3/8 as used in the vertical members. I left the end pieces unshaped, so that final shaping can be done after the stab is completely glued up. 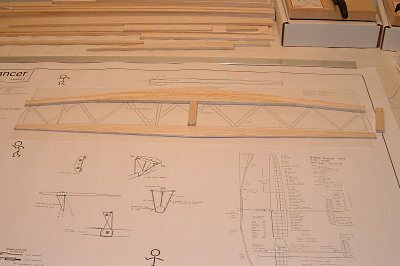 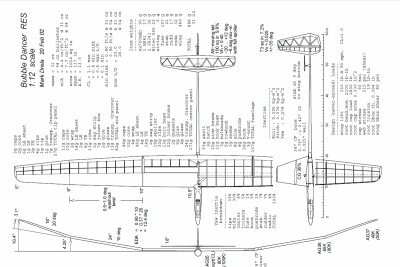 The horizontal stab is a little easier to build than the rudder when it comes to the diagonal ribs since they are all joined at the same 33 degree angle (except for the most outboard ribs, they're just a little different). 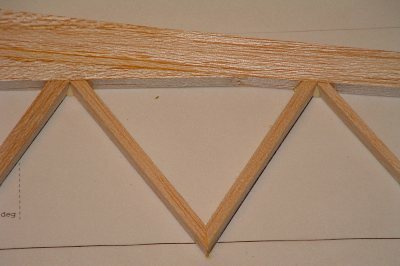 It can speed things along to cut all your ribs sticks a little long and then gang-sand then to get the angle. Once the trailing edge joints are mitered, the other ends can be miter sanded, working in outward moving pairs, to utilize the same angle on the miter sander. 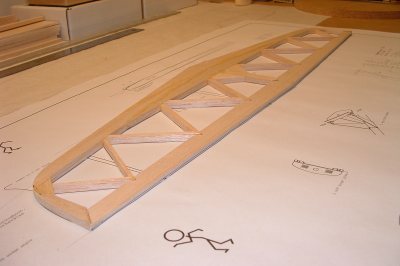 A close-up of the V-joint used on all the stab ribs. 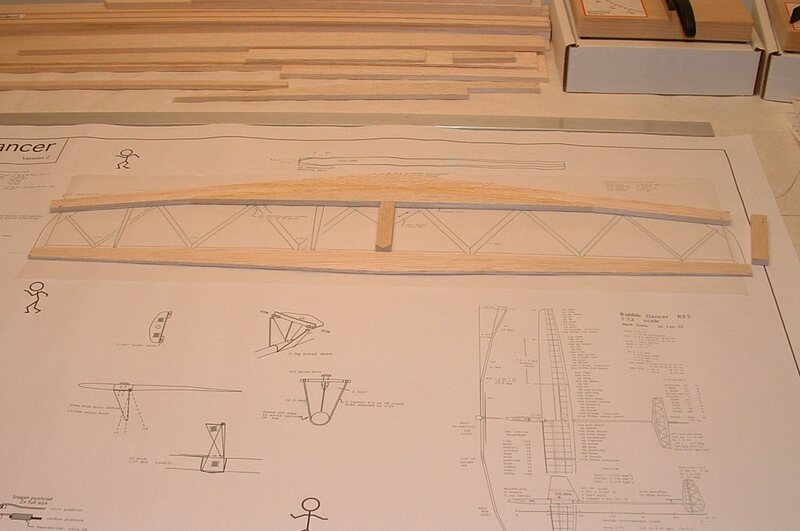 Note the generous glue fillets at the leading edge of the ribs, as called for on the plans. 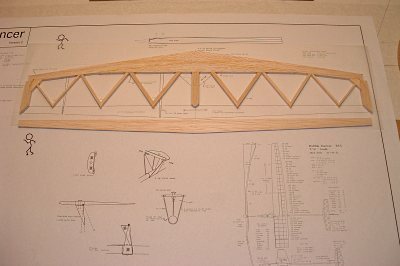 The trailing edge is now notched and attached to the rest of the stab assembly. 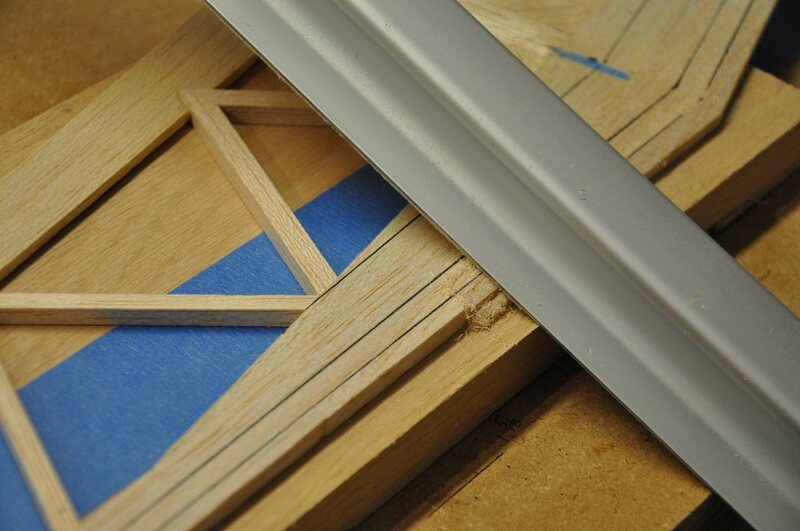 The corners have also been contoured. 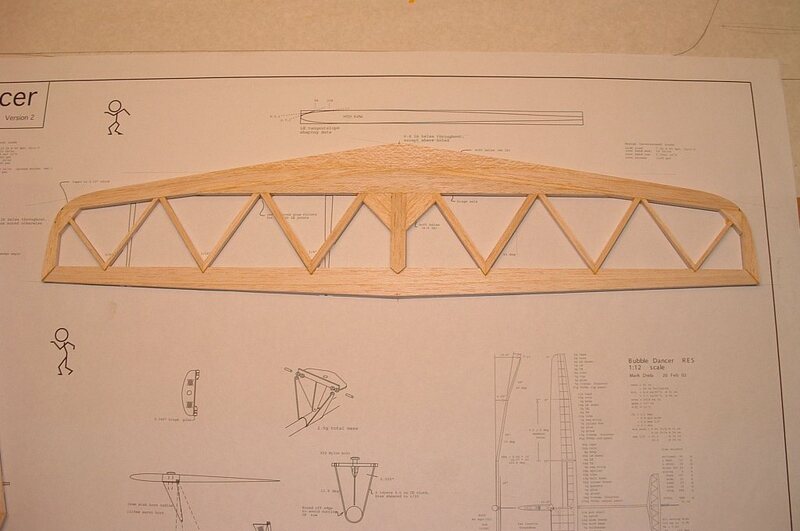 A side shot showing the trailing edge attatched at the midpoint of the ribs. 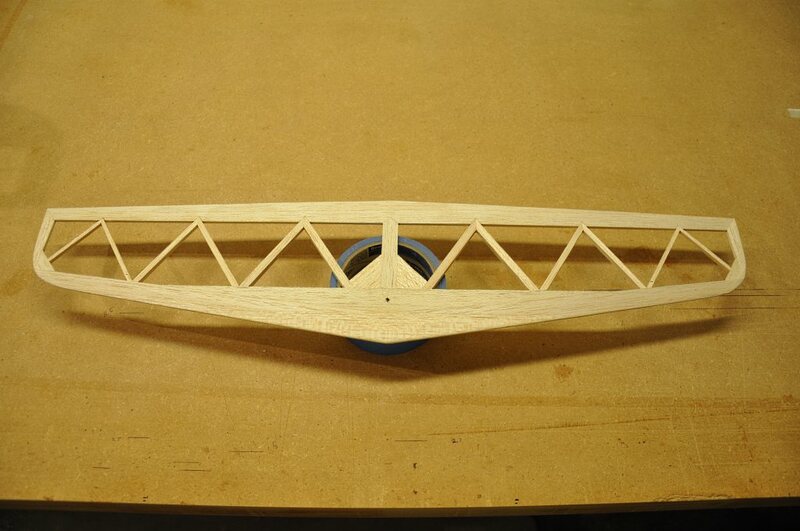 The stab was put aside until the airplane is ready for covering, so that it can more easily stay warp-free. 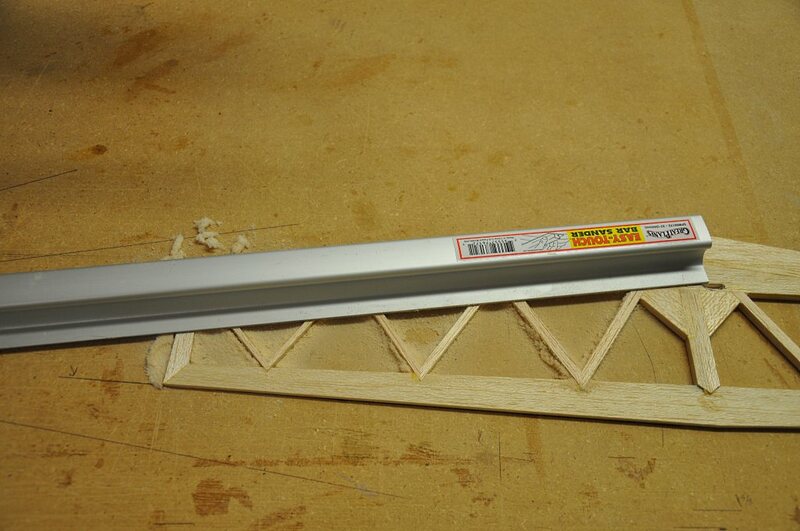 I then removed the bars (They didn't interfere with the first pass, but would have been too tall for the next pass.) 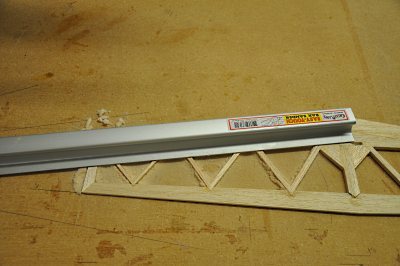 and flipped the stab over. 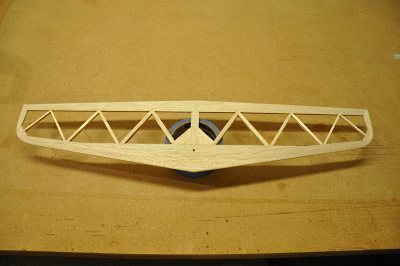 I used 80 grit sandpaper for this process - perhaps a bit "dangerous" but with care it allowed shaping to progress rapidly. 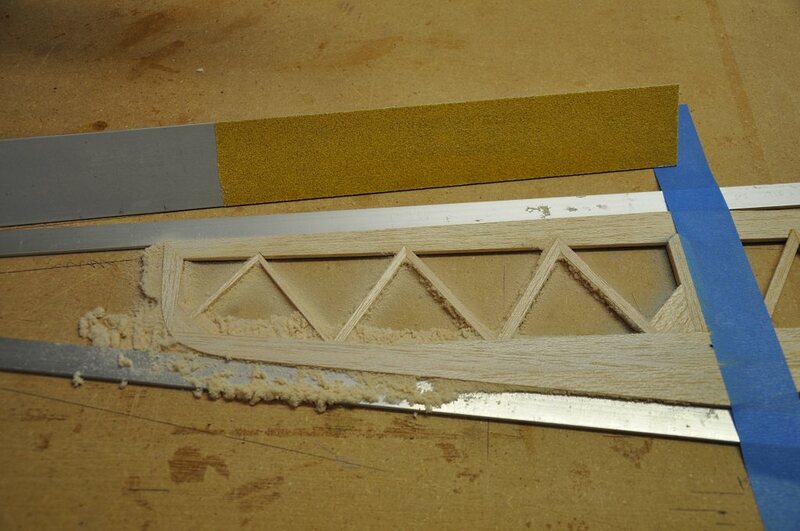 And here is the shaped stab ready for some fiberglass reinforcement and covering.